There can be lots of hidden hazards out there for motorhome owners which can lead to those unwanted bumps and scrapes – and sometimes an insurance claim for accidental damage. In our recent guide to parking safely we highlight the perils of storage compounds, service stations and car parks and how common it is to pick up an accidental knock. So, we take a look at three accessories that are on the market to help keep damage to a minimum, as well as a small discount on your motorhome insurance. Our gear guide looks at a camera system, a sensor kit, and mirror protectors. This is a fully integrated collaboration of Blaupunkt’s Columbia 945 media unit and Waeco’s CAM44 NAV twin camera rear view system that could just solve all your music, sat nav and blind spot requirements whatever the driving conditions. 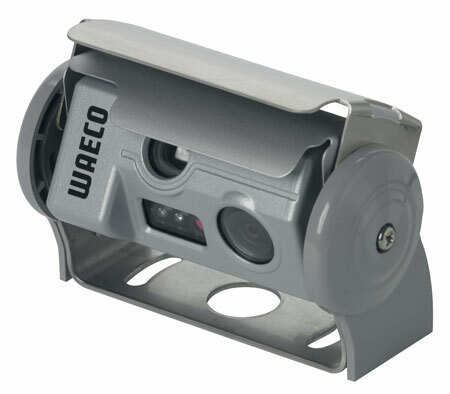 Also included are LED lights for night vision and an automatic cover for the camera. Blaupunkt’s Columbia has a 6.8in screen, plus Parrot Bluetooth connectivity and an Android operating system. It’s a twin rear view system, too – automatically switching to a wide angle of 140 degrees for reversing or 50 degrees for a normal rear view during general driving. Waeco also offers other Blaupunkt combinations, with prices starting from just over £1,500. 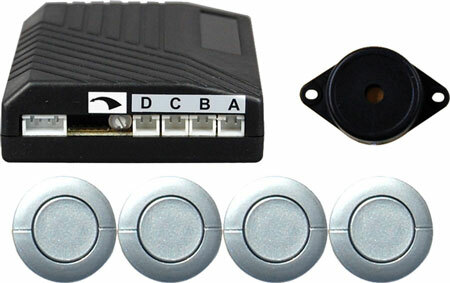 If, for whatever reason, you don’t want a full camera and monitor reversing system, something like this can be a big help, especially when it comes to reversing into tight situations. It comprises of a set of four 18mm diameter sensors that, when fitted, will emit visual and audio warnings that get ever more frantic as you encroach upon any potential obstacle. It’s “intelligent” too, in that it can be used in conjunction with towbars and bike racks. For fitting by a competent DIY-er, or professionally. 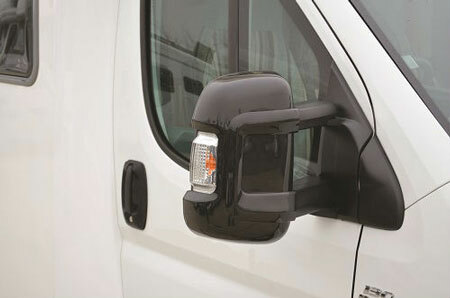 Quite a few motorhomes have door mirror guards like these – for very good reason. If you happen to clip a mirror, it can be very costly to repair as well as a considerable inconvenience while you wait for things to be fixed. They’re available in black or white and fit around the existing mirror, using a screw-on clamp to make sure they stay in place. They also wrap around the outer edge of the mirror housing, to offer protection whether you’re going forwards or backwards. They fit Fiat Ducato/Peugeot Boxer/Citroen Relay base vehicles manufactured from 2007. Check whether you’ll need the short- (for vans) or wide-arm (for chassis-cabs with coachbuilt bodies) variants, as the fittings are different. You could also use products like these to cover up cracks in the original housings. We’re confident that fitting a parking sensor or rear view camera to your motorhome can reduce the likelihood of making an accidental damage claim, so we offer a 2.5% insurance discount for motorhomes that have either a reversing camera or reversing sensor/s fitted. The device must be a proprietary make (i.e. not homemade) and kept in full working order. Tell us if you have any great accessories to keep away those minor bumps and scrapes in the comments box below. Very useful information.It serves as a reminder to the likes of myself,even after 50ish years of driving and25ish years of caravanning-motorhoming.